Henry J. Ludwigsen joined the firm in 1981 and was admitted as a partner in the firm in 1994. He served as the firm’s managing partner from July, 2009 until July, 2015. Mr. Ludwigsen earned the Certified Information Technology Professional credential and the Certificate of Educational Achievement in Governmental Accounting and Auditing from the American Institute of Certified Public Accountants. He is licensed to practice as a Certified Public Accountant, Registered Municipal Accountant and as a Public School Accountant in New Jersey. He earned his Bachelor of Science in Business Administration from Temple University. 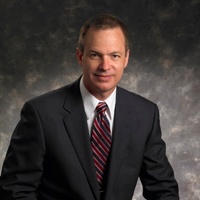 His expertise is focused on serving counties, colleges, bridge commissions, municipalities, school districts, non-profit organizations, federal and state financial assistance programs and assisting his clients on various information technology consulting engagements. His responsibilities have included the evaluation of computer system controls; bond issuance matters and municipal utility rate studies; developing technology plans; internet development and integration planning; installation, updating and maintenance of the Firm’s computer network and communication infrastructure and assistance to clients in the selection and implementation of hardware or software. He has extensive computer experience and keeps abreast of current developments in the information technology field.